Will the Winnipeg Jets Commit to Paul Maurice? The trade deadline is still hours away, but it’s possible the Winnipeg Jets already made their biggest move of the season. 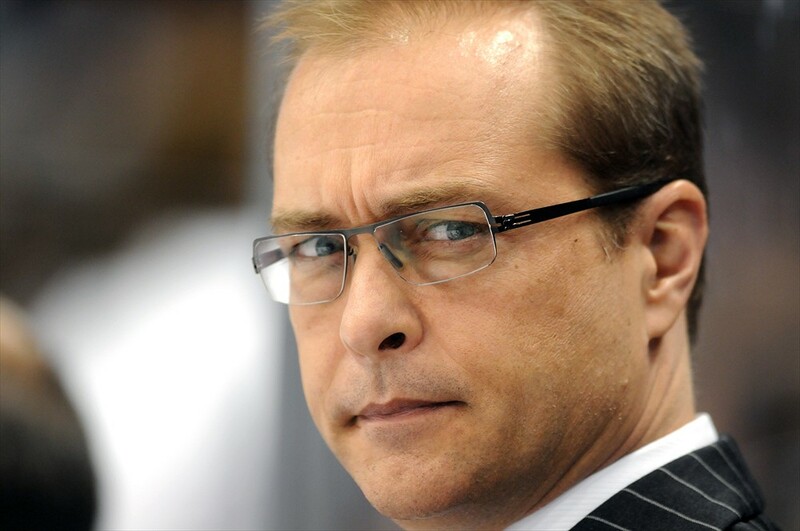 Hiring Paul Maurice to replace Claude Noel. The impact was felt immediately as the Jets blew out the Phoenix Coyotes 5-1 in Maurice’s first game on January 13th. Three days later in Calgary, Winnipeg won again beating the Flames 5-2. The most recent results are a lot closer, but still, the Jets are finding ways to win. They beat the Coyotes 3-2 in a shootout in their first game back from the Olympic break and defeated the Nashville Predators 3-1 on Saturday. That brings the Jets’ record to an impressive 11-3-1 under Maurice. It may be a small sample size, but it does include regulation wins over two of the best teams in the league, the Chicago Blackhawks and the Anaheim Ducks. It seems obvious at this time, but is Maurice the man for the job? The answer won’t be coming for a while. According to Paul Friesen of the Winnipeg Sun, Maurice has stated the agreement he made with management when he took the job remains in place. Maurice has earned an opportunity to coach the team for a full season. He has them winning in different ways. The Jets can rack up four or five goals in a game, or play a good tight-checking, defensive game and win 2-1 (if the goaltending is strong enough). Maurice has improved the play on special teams, especially the penalty kill, which ranks fifth in the NHL. Maurice has also juggled lines effectively and dealt with a number of injuries. The latest trio he’s experimented with includes Evander Kane, Olli Jokinen and Dustin Byfuglien. With that in mind, is this the year the Jets finally squeak into the playoffs? The recent surge has them in a three-way tie for the second wild-card spot in the Western Conference. The Jets, Dallas Stars and Vancouver Canucks each have 66 points this season, while the Coyotes are just a point back. They’re getting healthier, with Evander Kane and Jim Slater back in the lineup and Matt Halischuk poised to make his return soon. If they can continue to play a strong team game and Ondrej Pavelec plays at a high-level, there’s no reason they can’t be in the hunt come early April. And if they are, Maurice deserves a lot of credit. And, a contract. Check out our partners at TiqIQ for the best deals on Winnipeg Jets tickets for all 2013-14 games.